The financial market is on a tear in the US. The Dow Jones is up 12.5% since last year. I’m the last person to give financial advice, but boy oh boy do I have a stock tip for you. This is so hot it beats the temperature gauge in Houston. Are you ready? The best stock you own and ought to invest more in is YOU. You and only you are the most valuable thing you own. It took me years to figure this out but once I began focusing on myself (albeit feeling somewhat selfish), my work and life began to grow in amazing ways. Here are some things you should do to double down and grow your stock in YOU. Let’s face it. Life costs money and it creates debt. Debt creates stress. Post college, I made a plan to eliminate my debt before purchasing my first home. Having a mortgage is good debt, but carrying credit card balances can be a vicious cycle of high interest and ongoing payments. Debt-free people use credit cards to build personal credit and pay their cards off every month to avoid interest. Ultimately, freedom and options are the ultimate prizes for eliminating your debt so make it a priority today! It’s hard. I know. I was once 275 pounds. And my weight contributed to so many health and social problems. What can a Southern Belle from Louisiana say? I love my food and enjoy it sautéed, blackened, grilled, and fried. I enjoy eating out. I love great wine. And, I have a sweet tooth for just about anything with icing, frosting, or whip cream. But, everything has to come in moderation. In 2005 I changed my life completely and began looking at why I chose food for comfort. I began walking and then eventually running. I’m not perfect and I fall off the bandwagon. But, I get up and start over again. 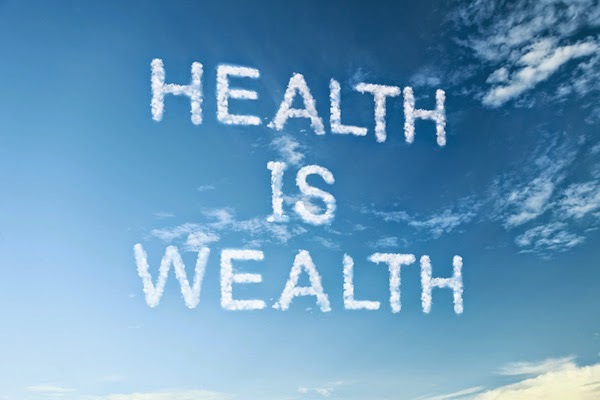 Eating well and getting fit is not just the healthy thing to do, but for some, it can help you save money on insurance premiums. Check with your employer. Human capital is key. Your unique skills are what make you marketable. Even though people “retire” in their 50s today, most are working well into their 60s, 70s and even beyond. Learning new skills and investing into your professional development is important in keeping your runway for opportunities nice and long. The workforce is changing tremendously and those who put a focus on learning new things and adapt will thrive. Consider new options like certifications and distance learning. As the world is changing, so is the way we learn and the rate of learning. The more you can change and respond to ongoing disruption in a very noisy world, the more valuable you are. 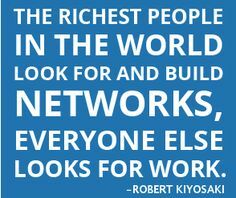 Your network = your net worth. It’s about what you know but who you know, who knows you, and how you build relationships with others (and for others), strategically. No one gets anywhere, alone. If you don’t have a village, it’s time to begin building one. There’s no excuse. Today we have more access to information than ever before, however we have to take the time to meet people and develop meaningful trust based relationships. You have to make it a priority to connect, create, share and show up. And while the real stock market will show bearish and bullish volatility, getting out of debt, getting healthy, learning new skills and growing your network are all very important strategies in giving your stock a boost. What are some of the things you’re doing already? What are some of the other ways you can invest in YOU and only YOU? This post is a part of the ABC Series.